The last time I blogged was 9 months ago. So today, the 24th of the 9th, seemed to me to be good day to start here again. 9 months as a time of incubation. 9 months as a time of contemplation. 9 months gone in a flash. In the last 9 months I have moved, started a new role in a new diocese, and feel excited with a new challenge ahead of me. 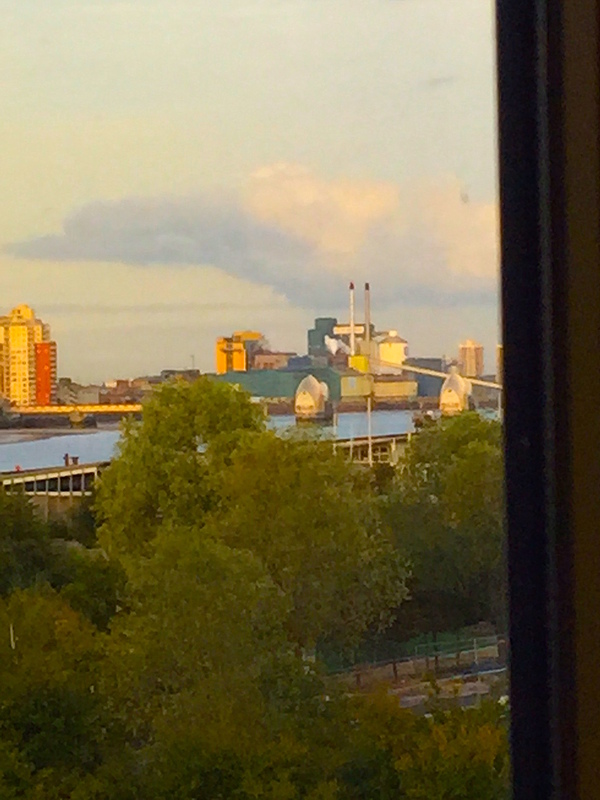 I also feel quite privileged to be part of a diverse and great team and live in an awesome ‘vicarage’ flat in the Greenwich Millennium Village with the photo being the view from my study desk. I am team vicar of Holy Trinity Greenwich Peninsula which is part of the East Greenwich Team Ministry and the Chaplain for the Koinonia Federation of Christ Church and St. Mary Magdalene CE Schools. Try saying that after a few rums! So … my role is to establish chaplaincy in the schools and to grow ‘church’ with the community of Holy Trinity here on the Greenwich Peninsula …. that bit with the O2 dome at the end of it! The area is constantly changing and the constant challenge will be how we serve a diverse growing and hidden population. (I live in an apartment block and have only seen 3 other residents in the 4 weeks I have been here!) An exciting thing, though, is that the bishop is encouraging us to create … so create we will! I don’t have a lot more to add at the moment apart from feeling amazingly welcomed and loved by both the church and school communities …. so if any of my ‘new’ friends are reading … thank you! … I can honestly say I think I am going to like living here! As in the past I will blog my story …. so I guess … if you are interested … watch this space! This entry was posted in -, chaplain, church, Greenwich, ministry, mission by robryan65. Bookmark the permalink. that’s amazing news Rob. I was wondering just the other week what you were up to these days. I have to confess I have blogged since Christmas…! thanks Phil …. if you are ever passing ….